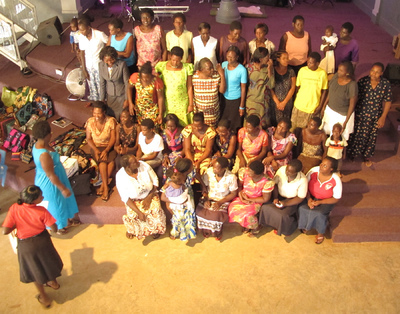 Lois Pollock writes: In March 2013 I met with a new group of women at Deliverance Church, Kololo. The group were mainly very poor women living in a nearby slum area. They arrived at the church hall - many with children - and we had a first meeting to explain the principles of a savings scheme. 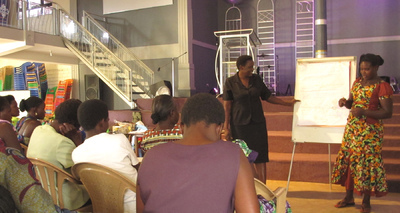 At the end of the training day the group committed to begin a savings group, which the church would support. We explored the kinds of small businesses that could be started if the savings group were diligent in their savings. 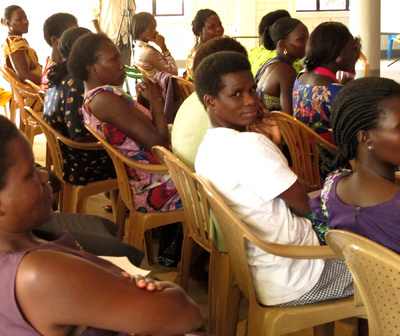 After I had gone, the group had a further training with an NGO specializing in training village saving schemes. 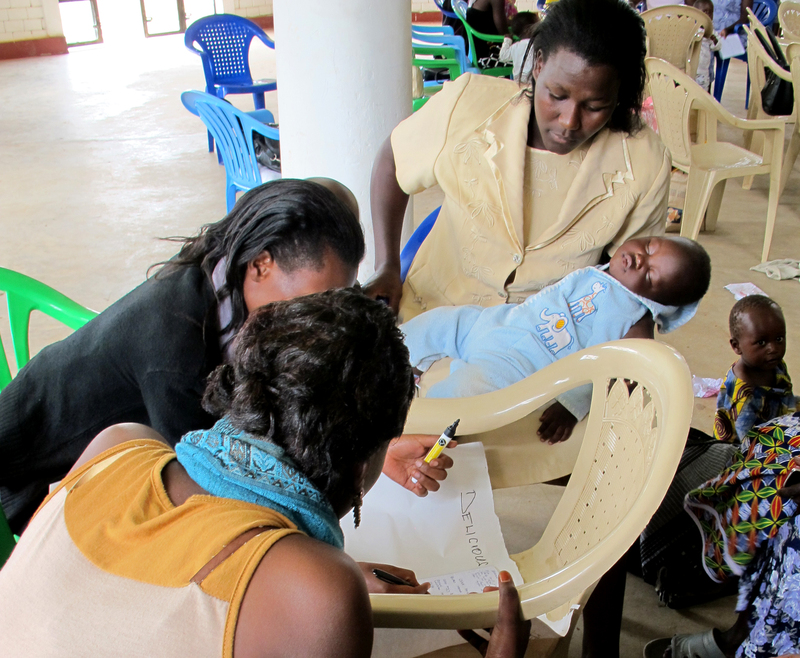 By December 2013, the numbers had grown to 30 members and the savings to 7 million shillings - about £1,670! A huge sum for a group to save in such a short time. The group has a cohesiveness that is sometimes lacking in other groups. They meet weekly and welcome new members, regardless of whether they are congregants of the church. The mentors behind this group are two women of the church. Anna Okullo is an elder with a local vocational tailoring business that offers subsidized training to the poorest women - alongside students who pay for a diploma course in tailoring. If you wish to know more, Anna tells us about herself here. Tina Achilla worked for many years for TASO. Now retired, she works alongside her pastor husband Stephen in Deliverance church. It is their guidance and support of the group members that has greatly strengthened this group and enabled it to grow and grow. In 2014 I made a return visit to the group and was very moved to have an update on their progress. I learned that in the first two and a half months of 2014 they had already saved a further 2.5 million shillings. 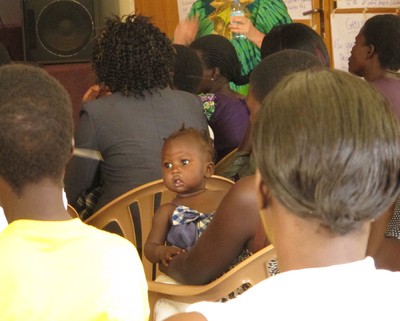 Women told how the savings group has changed their lives. One had never had even 20,000 shillings that she could call her own (this small amount is roughly £5). A market stall worker in Owino, it took her almost six months just to save the joining subscription for the savings group. However, having done that - encouraged by the other women - she has gone on saving. At the end of the year she received her dividend of 75,000 shillings. Another woman said her abusive husband had refused to allow her money to undertake Anna's tailoring course. Anna solved that by giving her a free place - and the woman is now learning a skill that will afford her the chance to become financially independent. At the same time, she is an active saver within the group. 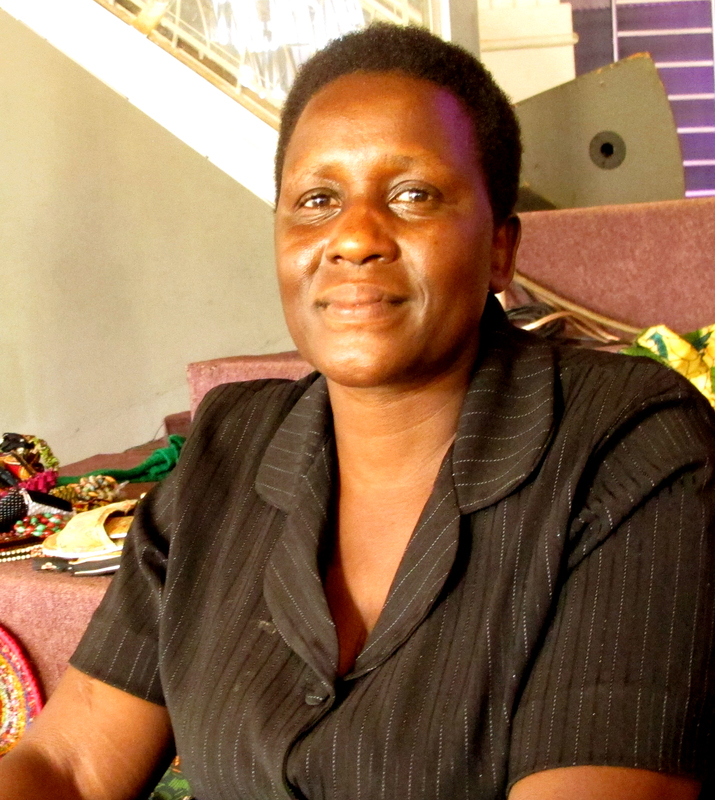 The Hope For Women Group also produce crafts for sale to supplement their savings. 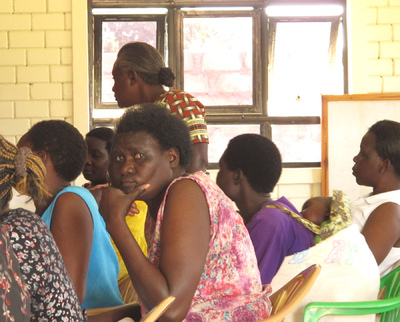 The Mulago Positive Women's Network have also developed enterprises making and selling crafts. You can see examples from both groups here, with details of how to purchase. After my visit, Anna Okullo wrote to me: When the savings group began, the registration fee was 500 shillings (about 15 pence UK). It took one woman six months to raise this 500 shillings - but at the end of it, the group agreed to lend her 20,000 shillings. Then she started a business selling maize. 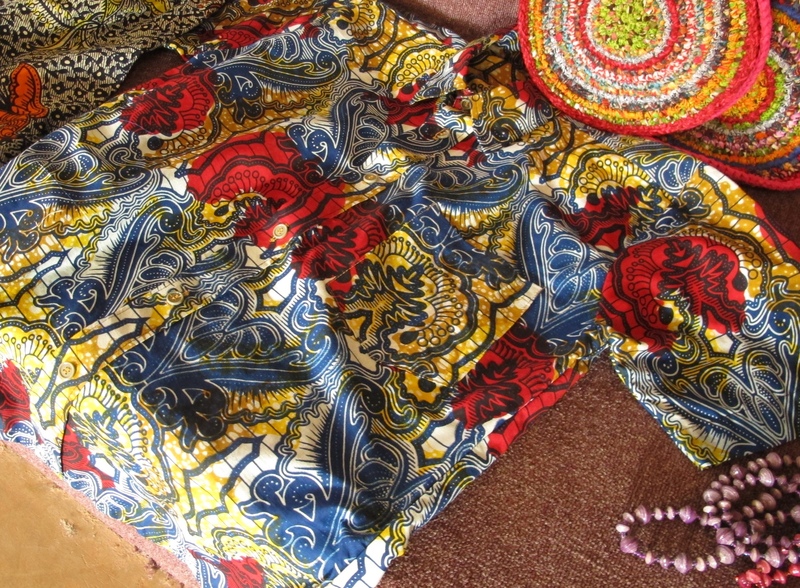 And she has done so well - she can pay school fees for her children and buy them clothes. And I was surprised: from the accumulated savings that were shared out in the group at the end of the year, from selling her maize, this woman had saved 270,000 shillings. So Lois, that is an example of what this group has done for these women. Another woman testified that she had never been able to save in her life. But with the support of the group, she had managed to save sufficient [money] to take a loan from the group and purchase a sewing machine. She had repaid the loan with the small interest and is beginning to work towards a small tailoring business that will enable her to sustain her children through school. In less than 12 months, the Naguru women saved 7,000,000 Ugandan shillings [about £1,650] with each woman saving between 1000 and 20,000 shillings per week. 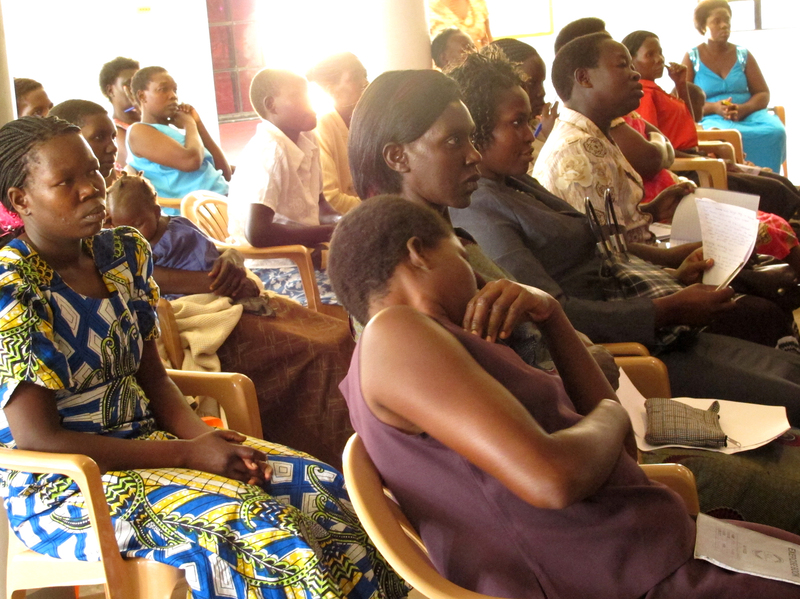 They have now introduced a second savings group for women who can save between 2000 and 40,000 shillings per week. 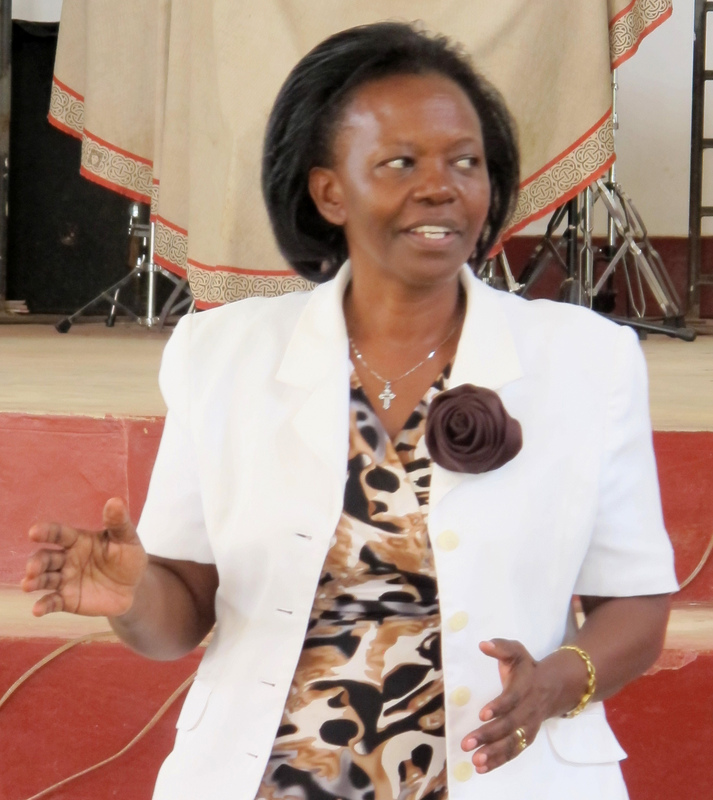 In the first two months of 2014, the group already had saved 3,000,000 shillings. From this savings, they will be able to pay the 1,225,000 shillings to Uganda Revenue [for a shipment of reconditioned sewing and knitting machines that I have sent them through an organization TWAM in the UK].